Interview The new Cabinet secretary and head of the British civil service, Mark Sedwill, has a chance to rethink how the UK government does IT. And this means deciding what to do with GDS, the Government Digital Service. 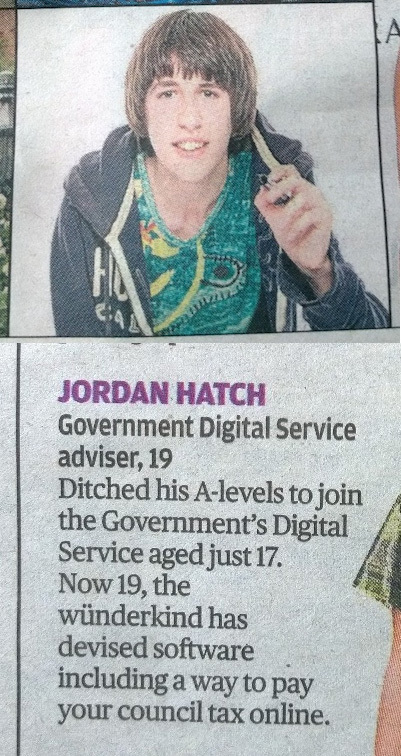 Although the kids-in-jeans-in-Whitehall era is now a distant memory, GDS remains, in name at least, the go-to expert in Whitehall. Professor Vishanth Weerakkody, an expert in government IT at Brunel and now Bradford University, said we might as well start from scratch on new principles. He recently submitted devastating testimony to a Science Select Committee on digital government. GDS was trumpeted as revolutionary in 2011, but it was set up to fail, Weerakkody told us. Unlike many pundits, the professor has industry experience, as an IBM-er, ranging from programming assembler to systems analysis. What was once cited as GDS's greatest asset now hinders it, he said. GDS was on the outside looking in, he told us, "trying to find solutions to problems that don't exist – and dress up where there aren't any real problems, and complicating matters". The founding group, including friends with an internet background in the mid-1990s who had percolated through MySociety into The Guardian newspaper and the BBC, believed government services could be transformed along the lines of commercial web services. This was a fundamental misunderstanding of the challenge, Weerakkody said. "This is confusing what the public sector is providing, which is statutory transactions. If I don't, say, pay my tax, I'm committing an offence. They're labelling what government does as 'services' but you cannot compare what the civil service does to what Amazon does or what Marks & Spencer does. Government services means healthcare, and social services." He elaborated this point in his evidence. "It has since become clearer that this [e-commerce] analogy has only limited validity in the public sector, which exists under the UK constitution as a result of legislation determining its form and function, with public funding and political accountability. There is a place for public sector online information and transactions, but their validity and limitations must be understood to avoid messes." "A website was the solution whatever the problem," Weerakkody wrote damningly. Former GDS head Mike Bracken's background in media production convinced him that much of the work looked like publishing - something he knew. Weerakkody said the new GDS has learned very slowly. "It took GDS until 2016 to discover that it is policy and law that create 'services', but in 2018 the model remains that of a commercial transaction." In addition, the "end user" focus was a "muddled analogy". While GDS told the world it was uniquely placed to understand users' needs, the reality was, as we reported in 2015 drawing extensively on internal documents, that it didn't at all. In the fiasco of the UK visa and immigration system, neither party did. Friendly critics of GDS say that the very existence of the facility had some benefits: allowing departments greater scope in how to do IT. For example, a few years ago the Driver and Vehicle Licensing Agency (DVLA) brought all of its IT services in-house, pulling in know how that had been at the system integrators. The techies were then closer to the problems they were trying to solve. Internally, the picture at GDS was very different from the picture painted for external consumption. The team's confidence and zeal was perceived as arrogance by departments, given the former's lack of enterprise expertise and the latter's familiarity with the death march of revising legacy code and working with integrators. GDS had a "culture of always thinking we are right", respondents noted in an external study commissioned by the Cabinet Office to discover why turnover at GDS was so high, and morale so low.